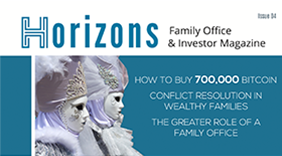 Welcome to Issue 3 of Horizons: Family Office & Investor Magazine with "Generations" as a main theme. We are starting with a portrait of Frederick Chavalit Tsao, one of Asia's leading business tycoons, who shares some provocative insights and questions on the mortality and sustainability of family businesses, the self-image of families (and why "family stories" can be a trap) and the downside of "Prudence" as a core business and family value. Opalesque has been publishing Technical Research (chart analysis) since April 2006. 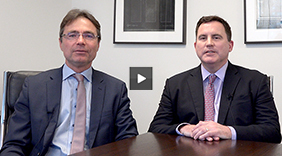 Opalesque Technical Research offers technical chart analysis with a global perspective on all major markets, including Equity Indices, Fixed Income, Currencies, and Commodities. Opalesque Technical Research is unique compared to most available research which is fundamental in nature, and not technically (chart) oriented. In addition, most current available research is mainly equity based, and not global in nature. Look forward to presentations and panel discussions on new trends and developments in Alternative Investments in the fields of Asset Management, portfolio composition, risk management and regulation..